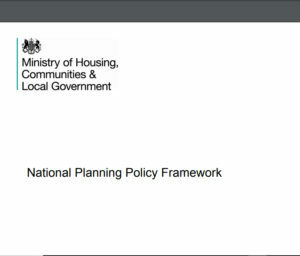 The 24th July, Govt publishes revised, the draft National Planning Policy Framework (#NPPF#NPPF2018). Since beginning of this year, Reading Borough Council (RBC) has been aware of the review/consultation of the National Planning Policy Framework (NPPF 2012). RBC has pushed through it’s ‘New Local Plan’ 2018-36 and submitted it to the Government for approval, simply to avoid being up-to-date in achieving sustainable development. Reading’s new sustainable development agenda (the NLP) will not be legally compliant with the national targets within the Paris Agreement, Climate-Illegal* etc. The New Local Plan, Reading is a total scam and the responsible Lead Councillor Tony Page must send in his resignation. Town and Country Planning Association – Will it past the eight placemaking tests? 1 Does it restore a genuine commitment towards sustainable development and the welfare of future generations? 2 Does it reflect the Garden City Principles by committing to using part of the profits from development for the long-term benefit of the community? 3 Does it rewrite the viability test to ensure that policy which enhances people’s lives and saves public money over the long term is equally as important as landowner and developer profit? 4 Does it prioritise good placemaking design and set out mandatory space standards for new homes? 5 Does it re-prioritise action on climate change, making clear that planning must deliver the carbon reduction target stated in the Climate Act? 6 Does it prioritise the promotion of people’s health and wellbeing in planning decisions? 7 Does it focus on a meaningful definition of housing affordability based on people’s ability to pay, prioritising social rented homes? 8 Does it defend people’s rights to participate in the planning process?